Perhaps you are an avid Instagram user and you want to show off your best Instagram moments for all to see. Look no further than our Instagram collage prints and posters and showcase your most beloved Instagram moments. Our Instragram collages are perfect for framing and are sure to add interest to your home décor. With a variety of sizes to choose from, you can easily create your own collage layout that displays your favorite Instagram photos in style. If you have more photos to display, our various photo collage options are perfect for updating your wall décor. 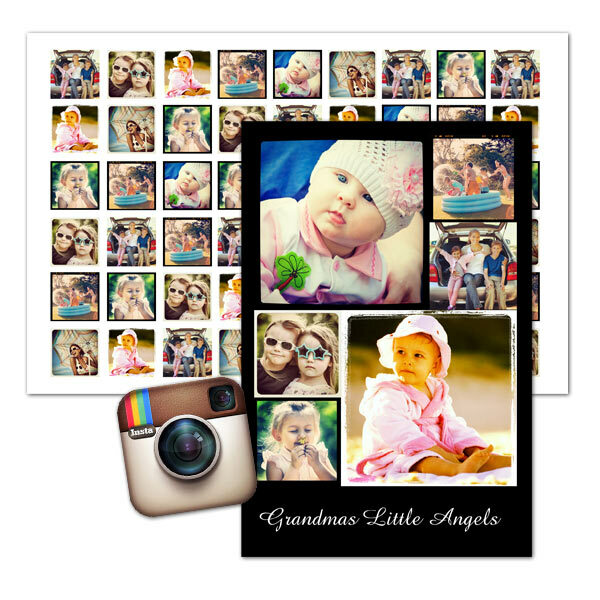 Instead of printing a collage poster, we offer square Instagram prints which are available in four sizes! Print your Instagram memories to preserve them in your favorite album or for framing in an elegant frame on your wall. To get started, simply log into your account and use our built-in Instagram connection to upload your images into your account. Afterwards, select your poster size, orientation, background color and finally your preferred photo layout. Then, just drag and drop your Instagram pictures into place on your chosen layout and finally, place your order. Once your Instragram collage print arrives, you can tack it up or frame it on any wall as an added boost of color and personality to your décor. Whether it’s your most recent Instagram masterpieces, your liked photos or perhaps the images of someone you follow, our Instagram photo collage prints will display all your favorites with an artistic flair. Select from a variety of photo layouts and display up to 77 Instagram pictures on one collage. With so many customized options to select from, you can create the perfect poster enlargement that shows off your Instagram memories in elegance. Maybe you have a few friends or family members you follow on Instagram. Design the perfect birthday or holiday gift and give them an Instagram poster collage of their very own. 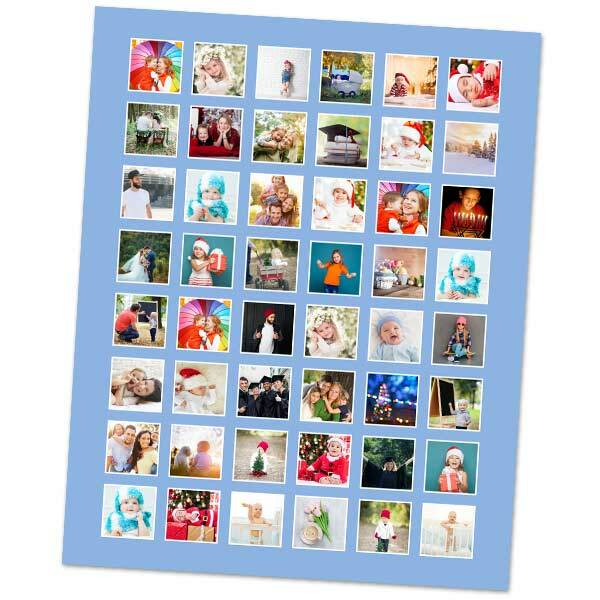 Add your own favorites and include their own Instagram photos for a fully customized gift that’s hard to beat. Your loved ones will love displaying their new Instagram poster as part of their interior décor and will enjoy reminiscing about their best Instagram moments, year after year. If you are looking to display an entire collection of your best Instagram images, you can’t go wrong with our Instagram collage poster. We also offer even more options for your Instagram memories as well. Our collection of Instagram print sizes are perfect for displaying your work and look stunning in an elegant frame hanging from any wall in your home. Choose from multiple square print sizes and decorate your living area with rich colors and exciting moments. They’re a fun and simple way to dress up any blank wall in your home and are the perfect conversation piece. With an ordering process that is both fun and easy and our high quality printing methods, you can create the ultimate collage of Instagram photos. Use them to dress up your décor or give them to a fellow Instagram lover for the perfect gift that is both unique and personal. The possibilities are endless with our Instagram collage prints!